Perhaps for the first time in Kolkata the giant wine brands of India like the Four Seasons, Sula, Nine Hills, Grovers and Antarez came together to celebrate the spirit of good food and great wine at the event organized by Swissotel which was rightly called The Grape Harvest Feast on Sunday 23rd February, 2014. With the exponential explosion of the food industry in India the appreciation for wine is poised to surge at a trajectory that only can be contained by imagination. The world of wine opens up to experience a higher culinary dynamics and the Kolkata Grape Harvest Feast singularly broadcasted the effects of great wine and great food by having the major wine brands of India come together on a common platform and open up their cellars and reserves for novice and experts to sample the best Indian wines. 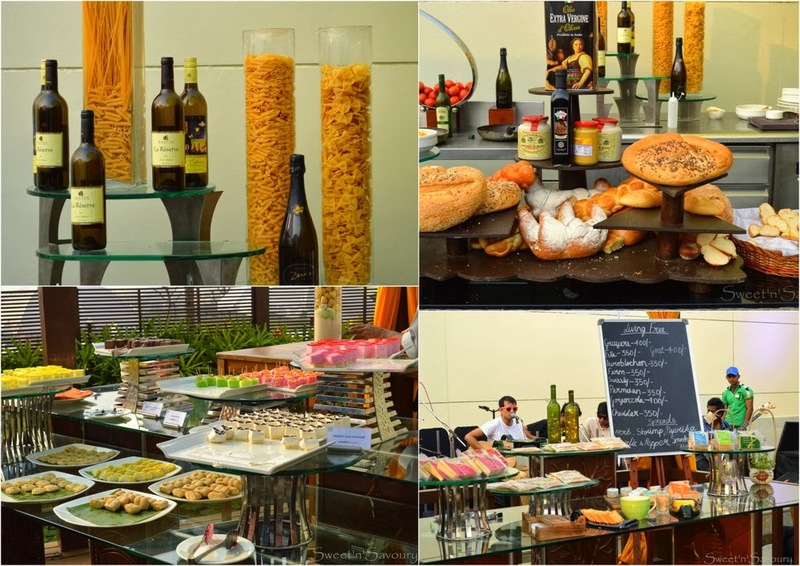 The Kolkata Grape Harvest Feast in Swissotel was marked with a casual atmosphere to party over endless flow of wine alongside live music and exquisite food. There was also grape stomping with the GM of Swissotel Marco Saxer and his wife Nina Saxer who were joined by Anant Iyer, COO-RPC East & Nepal of United Spirits Limited and his wife Jyoti Sachdev Iyer who also took part in the Bengal Fashion Week at Park Hotel earlier in the week. From the Four Seasons Stable. 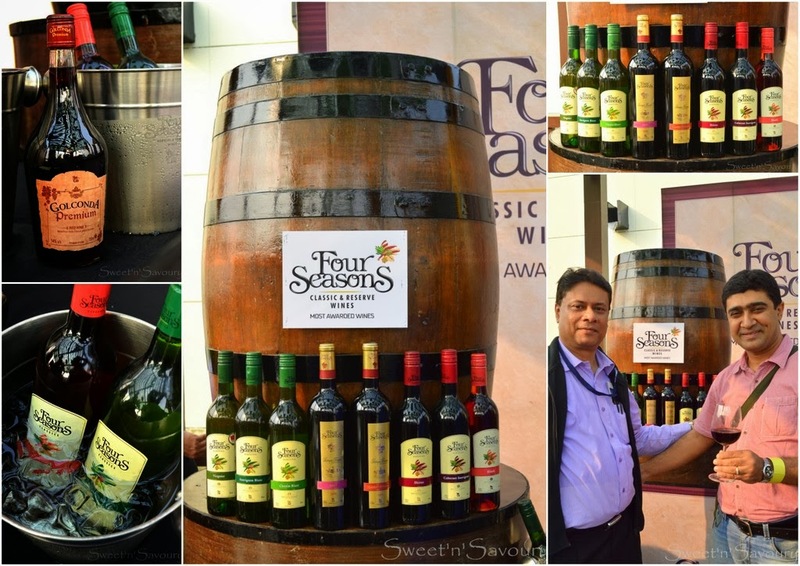 Four Seasons have emerged as a major player in the Indian wine market. They have their wineries at Baramati, Maharashtra, which is also becoming a popular tourist attraction. 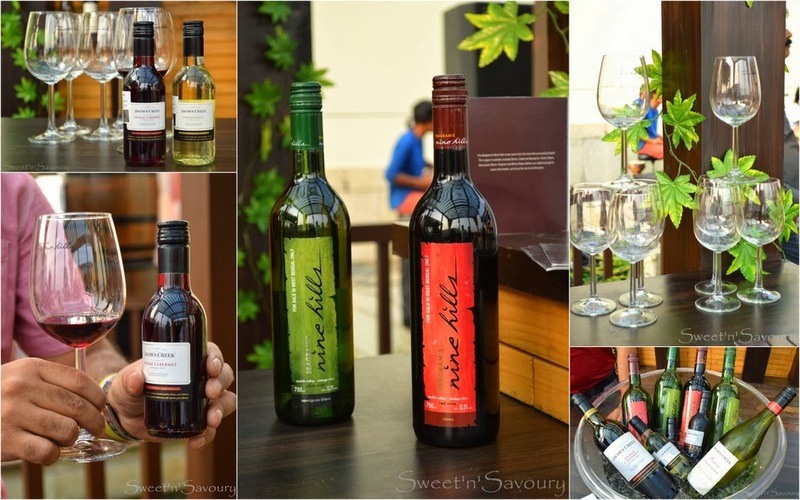 Sula were the first to enter into the wine market in India by growing and harvesting wine in Nasik. Sine its inception other players followed marking India as one of the finest new world wine growers. Collection from the Seagram's Nine Hills Wines. Grovers wines have gained great respect and admiration from wine lovers in India. They too have become a major player in the Indian market with their range of wines. With Shubhadip Deb Roy of Grovers and Keith W Edgar, Sommelier, Wine Ambassador. With Joyjit Chakraborty, Director of Food & Beverage, Swissotel, the man behind the Kolkata Grape Harvest Feast. 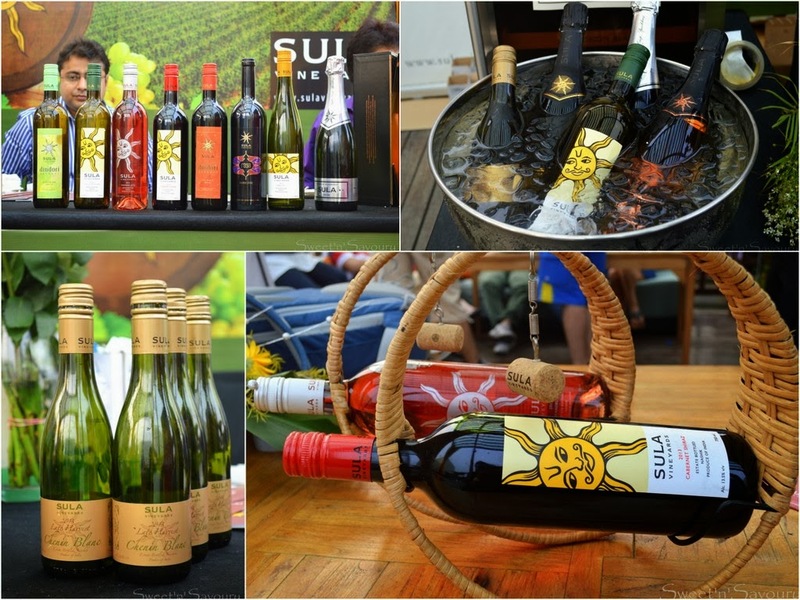 He and his team conceptualized and brought together this event with all the brands supporting the spirit of wine. The event was also marked with the encouragement and awareness support for organic food and organic colours for Holi. Green Tokri with their tagline of 'Fresh from our farms to your Fridge' have started home deliveries of the fresh and organic food. Their vegetables are grown in specially built Hydrophonic Greenhouses which makes it possible for them to grow without the use of chemicals and pesticides. 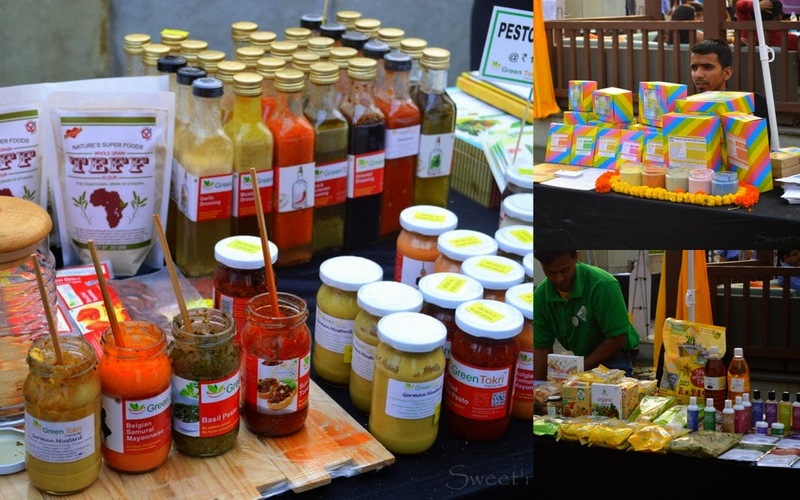 They also have a range of herb dressings and other delicacies like Basil pesto, Sun dried tomato in oil, pickled capsicum etc. 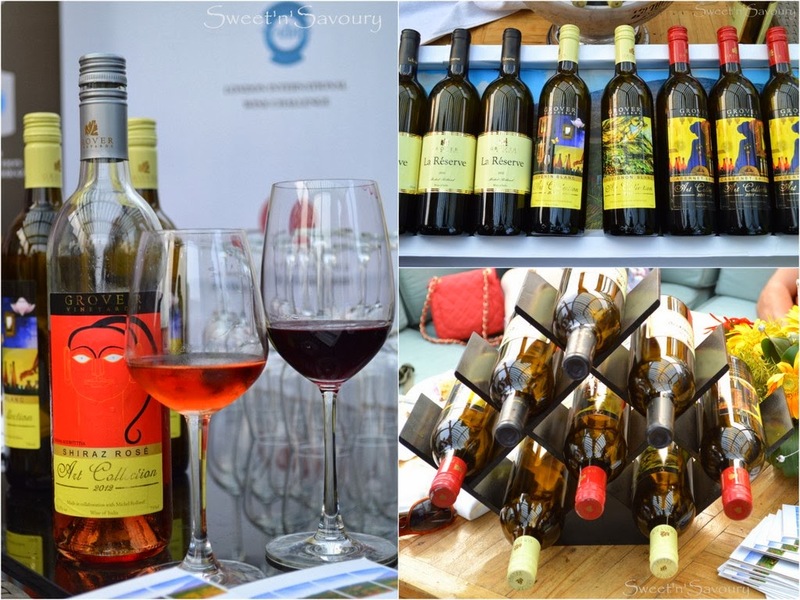 The Kolkata Food Bloggers Team have been thrilled to cover the event which has reeled off a true appreciation for great Indian wines along with having a passion for food. 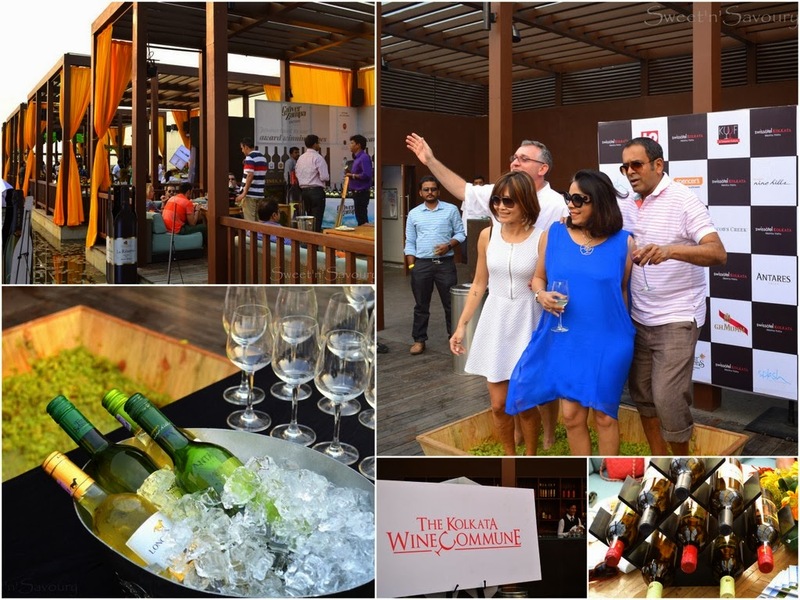 We believe that the wine market in India is going to grow at a phenomenal rate and as the awareness of the wine spreads amongst the people, we would look back and credit events such as this that helped campaign the true spirit of wine. Wine? Yes please. Perfect tasting and sampling at the feast.